A printed circuit board (PCB) mechanically supports and electrically connects electronic components or electrical components using conductive tracks, pads and other features etched from one or more sheet layers of copper laminated onto and/or between sheet layers of a non-conductive substrate. Components are generally soldered onto the PCB to both electrically connect and mechanically fasten them to it.Printed circuit boards are used in all but the simplest electronic products. They are also used in some electrical products, such as passive switch box. 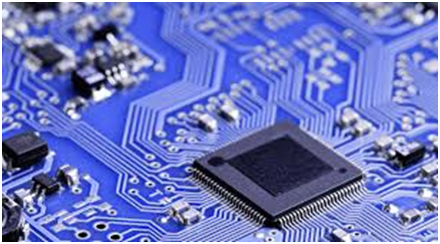 PCB nowadays uses in almost all the engineering fields whether it’s mechanical, electrical or electronics. They can also be termed as the base of emergence of technology. Organised By: Department of Electrical & Electronics Engg. In this course, we will take you through the process of making Printed Circuit Boards (PCBs) from scratch! You’ll make a PCB prototype to function as a clap circuit – the system detects clap sound to power an LED bulb. *These components will be provided during the program not for home takeaway. Exporting the image file for silk screen, solder mask, drill layer, and top layer of designed PCB. Print the designed circuit onto the glossy paper. Testing of the circuit using multimeter and other electronic equipments.